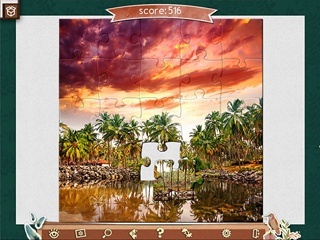 Game 1001 Jigsaw Earth Chronicles 7 Game - Download and Play Free Version! 1001. Jigsaw is the perfect gift for fans of classic jigsaws! It's dedicated to our incredible planet Earth! Take a fresh look at our amazing and unique world. Seven themed jigsaw collections await you: wild animals, mysterious underwater lands, birds from all over the world, outstanding flora, beautiful views, gifts of nature, and the lives of the peoples of the world. Set off on a magical tour spanning the globe. Take a boat trip on the sunny shores of Scotland, climb the mountains of Italy, stroll through majestic churches and temples, learning the secrets of the most varied cultures on the earth! 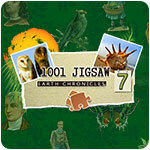 All this awaits you in 1001 Jigsaw: Earth Chronicles 7. Explore our planet without leaving home! 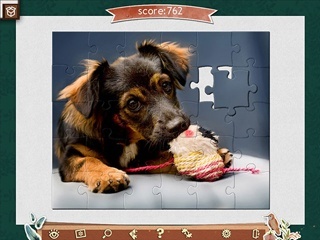 Set a difficulty level to suit you in each jigsaw: number of pieces, spinning, and deformation. Save your progress at any time! Convenient controls with a multitude of hints and tools help make the gameplay more comfortable. Make the game more exciting by completing special quests to earn trophies!